Brain aneurysms and vascular malformations affect blood vessels in your brain, where they can exist for years without causing problems. When you develop symptoms, it’s essential to get medical attention to prevent serious complications. 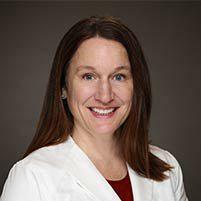 Dr. Carrie Shulman at The Florida Center for Minimally Invasive Neurosurgery specializes in minimally invasive procedures to treat brain aneurysms and vascular malformations, working with each patient to provide optimal care. To schedule an appointment, call the office in Clearwater, Tampa Bay, Florida, or book an appointment online. A brain aneurysm occurs when muscles lining the inside arterial wall weaken, allowing a balloon-like bulge to develop. The vessel wall becomes thinner and weaker over time, increasing the risk that the aneurysm will leak or rupture. Ruptured aneurysms bleed into the space around the brain, causing a subarachnoid hemorrhage. This type of hemorrhage is a medical emergency because it can lead to a stroke, coma, and death. Medical: Medical treatment includes smoking cessation, treating high blood pressure, and closely monitoring unruptured aneurysms with periodic imaging. Surgical clipping: The aneurysm is separated from the surrounding tissue, then a metal clip is placed at the base of the bulge, eliminating blood flow into the aneurysm. Endovascular coiling: This is a minimally invasive procedure in which a soft wire spiral is gently advanced through a blood vessel, into the brain, and placed in the aneurysm. Once it’s in place, the wire spiral makes blood coagulate or clot to stop blood flow into the aneurysm. Blood leaves your heart through large arteries, which branch into smaller arterioles, then into tiny capillaries. Capillary beds branch out to deliver oxygen and nutrients to cells, then they connect with tiny venules that carry blood into your veins and back to your heart. A vascular malformation, or arteriovenous malformation, occurs when arteries and veins connect with one another without the capillary bed, creating a tangle of blood vessels that disrupt normal blood flow. What are the symptoms of vascular malformations? How are vascular malformations treated? Three treatments can be used together or alone to treat vascular malformations — microsurgery, endovascular therapy, and stereotactic radiosurgery. During microsurgery, the malformation is removed. Endovascular embolization and stereotactic radiosurgery are minimally invasive procedures that block the abnormal vessels using different techniques.